Fifty percent of older adults have dementia and are undiagnosed. Doctors inexperienced with dementia hesitate to diagnose dementia without self-reported concerns from older adult patients. Family members lack the skills to notice or report behaviors that are relate to dementia. How will older adults with dementia, an population often ignored by doctors, be diagnosed? While many of us fear a diagnosis of dementia, the risks of not diagnosing are significant and have long-term effects. Research from John Hopkins University (1) confirms that doctors rely on patient self-reports or reports from family members to diagnose dementia. The initial indications that dementia exists are both physical and cognitive. All changes begin in the brain. Walking and balance are affected by the central nervous system (CNS) that experiences breakdowns in persons with dementia. The brain and the spinal cord do not communicate as well; nor do nerves and muscles. The result are problems with depression, sleeping, balance, walking, thinking, and memory. Many older adults with dementia experience frequent falls. Falls occur while walking because of poor balance and depth perception. Curbs or steps may seem higher or lower than they appear. Tripping results. Risks occur to self, others, and property. Falls or poor balance may not be noticed by family members or friends as significant. Often these incidents are attributed to aging and not thought of as possibly indicating other important changes. Walking gait, meaning the action of putting one foot in front of another to walk, becomes more difficult for persons with dementia. Older adults may shuffle their feet or drag one foot behind another. Because of improper posture or a prior injury, a person may lean more heavily on one leg resulting in lop-sided balance. The ability to drive is a hot topic that is often avoided by family. Older adults who believe their driving skills are good, find themselves in car accidents that damage their car, injure others, or harm property. In more than 20 years as a care advocate, it was always these little things that might not be noticed by friends or family that indicated early dementia. The breakdown in communication between the brain, nerves, and muscles slows reaction time important to driving abilities. The physical inability to totally turn the head and shift the body to look left or right before changing lanes also may be affected arthritis or body pain. Reaction time skills and the ability of the body to turn and look around are important to safe driving. Older adults swear that they drive as good as they did when they were 18. These are common statements indicating a loss of insight into present abilities. One client of mine was an expert at driving over mail boxes mounted on posts near curbs. Another client —who didn’t want to give up the car keys—offered to drive a neighbor to the store. An improper turn was made. The right side of the car was broadsided by another vehicle. The neighbor sitting in the passenger seat, not wearing a seat belt, experienced serious injuries. The car was totaled. The home is another place for accidents resulting from inattention. A client became distracted and left water running in a bath tub that flooded the main floor and leaked into the basement of his home. The result, serious water damage to floors and carpet and an expensive repair. Stove burners left on result in burned pans and burned food left in the pans that is not cleaned up. Ovens are turned on and forgotten. Smoke from burning food sets off fire alarms or sprinkler systems. When older adults live alone, these accidents are rarely reported to family members for fear of losing control over independence. Many are able enough to quickly have the damages repaired in the hope that no one will notice. Besides the physical aspects of dementia, there are other signs that relate to executive functioning, scheduling, and planning. These aspects were noted through multiple visits to the homes of my clients. Discussions about daily activities led to questions. Through frequent contact, I became more aware of ongoing concerns that indicated suspicions of dementia. Roofing solicitors, charitable solicitors, vehicle accidents, forgetting to renew insurance policies, home damage, unpaid bills—the list of concerning behaviors is long. When frequent contact does not occur with family or neighbors, noticing behaviors that indicate dementia may be present is difficult. Thinking skills that include concentration, attention, information recall, and problem solving are negatively affected. Conversations may be forgotten, appointments missed, or bills go unpaid. These are early signs that family and friends might notice during phone calls or brief visits. The ability to manage money and finances is one of the first declines that occur with dementia. I took the checkbook away from a client who wrote $1 checks to 200 hundred charities. He confirmed he wrote the checks because he felt so sorry for the persons helped by the charities. The act of writing checks made him feel less anxious because he was helping someone. We began writing checks together to pay bills to avoid having the utilities turned off because funds in the account were depleted. Agitation, depression or irritability may occur. Many older adults, realizing that they are becoming forgetful, become frustrated with themselves. Fear occurs because they are aware that they are losing their capabilities to manage alone and complete what used to be routine daily activities. You may notice that an aging parent or friend seems more temperamental or irritated when little things go wrong. As questions rather than saying that “things will be okay” or “that’s just normal aging.” This is not normal aging. This is dementia. With dementia self-management and maintaining a home become more difficult. 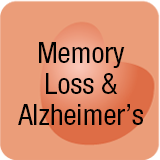 Memory loss leads to difficulties with completing instrumental activities of daily living, called IADLs by healthcare professionals. IADLs are activities like bill paying and managing finances, driving or organizing transportation to appointments, shopping, meal preparation, house cleaning, home and maintenance projects, initiating telephone calls, sorting through mail, and managing medications. Many older adults forget to have prescriptions filled. Others are unable to problem solve directions on the labels and take medications incorrectly. Emergency room visits for medications taken incorrectly are common among older adults. Following the IADLs are activities of daily living (ADLs). These are the more physical activities we complete on a daily basis. These include: bathing, eating, dressing, feeding toileting, and transferring from bed to chair, standing up, and moving in and out of a car. Requiring assistance with ADLs results after physical injuries, like serious falls or hip fractures occur. Safety risks to be monitored by family and friends include many of the above. Falls, poor medication management, forgetting to pay bills, inability to manage finances, difficulty with cooking, driving accidents, needed home repairs, missing appointments, and living alone are all risks for dementia in older adults. Persons with undiagnosed dementia may become more isolated because casual acquaintances notice memory gaps or inappropriate behaviors. As a result, acquaintances no longer call or visit. Attendance at social events may decline because of negative responses by peers. Most older adults with undiagnosed dementia simply do not recognize the signs because they are accommodating in various ways. Sticky notes all over the house indicate memory gaps. Reminder notes to turn off lights and take out the trash also hint that there may be memory gaps. The same with calendar reminders to pay bills or to bring in the mail from the mailbox. These individuals fall under the radar of diagnoses because they may appear to be manage relatively well. Older adults also refuse to accept the changes of becoming increasingly frail because of fear of losing independence. Giving up the car is a life changing event for an older adult. No longer can one jump in the car to go to the store. Isolation occurs and depression and anxiety follow. The importance of talking about dementia and receiving a diagnosis is to support planning. When older adults wish to remain at home, in home caregivers may be scheduled. Depending on financial resources some older adults remain at home with 24-hour in-home care. Care managers may be hired to oversee care. Estate planning documents including medical and financial power of attorney, living wills, and wills may be completed while the older adult is able to thoughtfully express desires. This advance estate planning supports the time when memory loss advances to the point that family or professional fiduciaries step in to pay bills and assist in making medical decisions. This type of early planning and support offers the greatest choice about where the older adult lives, who will provide care, and the type of care received. Without a diagnosis to allow planning, many older adults with undiagnosed dementia will experience injuries. At the time the injury is discovered, self-neglect is often identified. Weight loss has occurred, prescriptions are not taken, homes may be in disarray, bills are late or unpaid. Many undiagnosed older adults with dementia have no choice but to live in nursing homes for the remainder of their lives. Elder abuse may have occurred with finances depleted by helpful neighbors or friends. 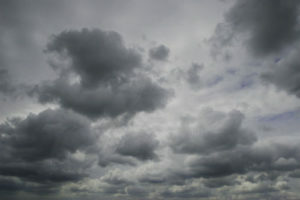 Health issues may have advanced to a point of no return due to lack of treatment. I know this because I was appointed by the courts to serve as guardian for these older adults. If you are an older adult reading this, be open to talking to your doctor about the daily challenges you are experiencing. If you are an adult child noticing changes in aging parents, initiate a discussion of concern, not blame. If you live at a distance and visit occasionally you may notice significant changes at these visits. Rather than being surprised, be proactive. By openly discussing activities and behaviors that present as risks for dementia, advance planning may occur that will smooth the way for more care when needed. This planning will also provide peace of mind when memory loss advances. If you found this article, helpful subscribe to my FREE caregiving library by clicking HERE. You may also join me and other caregivers in my private Facebook family group by clicking HERE. 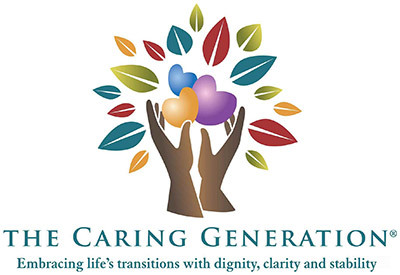 Pamela D. Wilson, MS, BS/BA, NCG, CSA, a National Certified Guardian and Certified Senior Advisor, is a caregiving and elder care expert, advocate, and speaker. Pamela offers family caregivers programming and support to navigate the challenges of providing, navigating, and planning for care. She guides professionals practicing in estate planning, elder and probate law, and financial planning to create plans to address unexpected concerns identified in her past role as a professional fiduciary. Healthcare professionals are supported by Pamela’s expertise to increase responsiveness and sensitivity to the extensive range of care challenges faced by care recipients and caregivers.